Prior to the installation appointment, an attic inspection is completed. During the inspection, a professional graph is filled out and heat-producing sources, attic access(es), power/fuse boxes, knee walls, and chimneys/flues are marked. Following the inspection, the customer is presented with an estimated cost based on the professional graph. All equipment is truck mounted, so only a 3″ hose enters the home. There are no blowing machines on the driveway or lawn. All supplies and insulation are loaded into the truck prior to arrival. The key to a successful attic cap job is arriving prepared. To protect the walls and furniture and to keep dust to a minimum, plastic is places on the floor, walls, and around the attic access. Attic prep work includes blocking and creating barriers around recessed lights, other heat sources, and eave vents. Attic rulers are placed to show how much TAP® Insulation was installed. 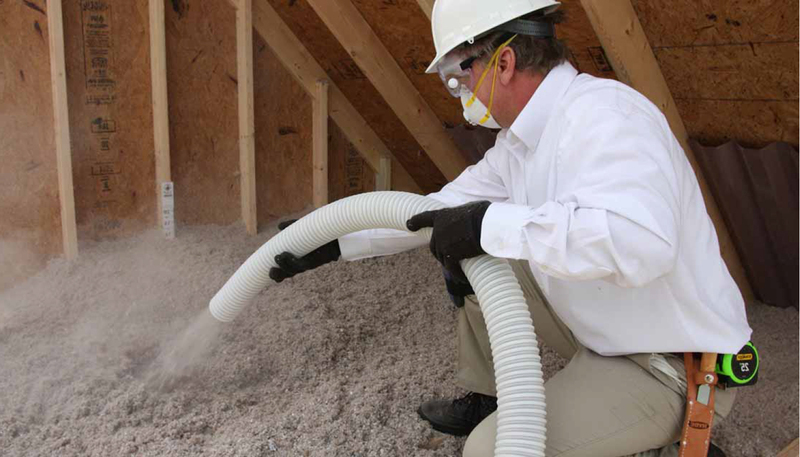 If future attic construction projects or alterations are done, any disturbed insulation can be returned to its original level. A trained, professional staff usually takes only a couple of hours to complete a TAP® installation project. It is not necessary for the homeowner to leave during the work. Experienced TAP® providers ensure that TAP® is installed according to the project quote and in compliance with all applicable regulations. After verifying that the correct R-value has been installed and ventilation is unobstructed, a TAP® warranty card is completed and tacked in the attic. Before leaving the premises, the insulation and attic space is inspected and the job site is cleared of any insulation materials and supplies.